Flirt with your butcher. I ended up paying $13 for the whole pound. Haha. Okay my husband was a little mad...but then again I saved $9. You could always go with turbot or tilapia, but it won't be chunky; it'll be flakey. The recipe for the spicy halibut follows along with the easiest and most delicious dressing you will ever make. Seriously, it is stupid how good this creamy balsamic is. I added alot of stuff to this salad, but here is the base. Mix the spices together in a small bowl. 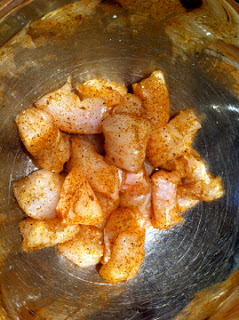 Sprinkle over the halibut chunks and massage all over. Let it sit in the refrigerator for 30 minutes. Heat coconut oil in a skillet over medium high. Add the fish in a single layer. After about 2-3 minutes, flip and cook another 2-3 minutes until the fish has a nice crust and begins to flake. 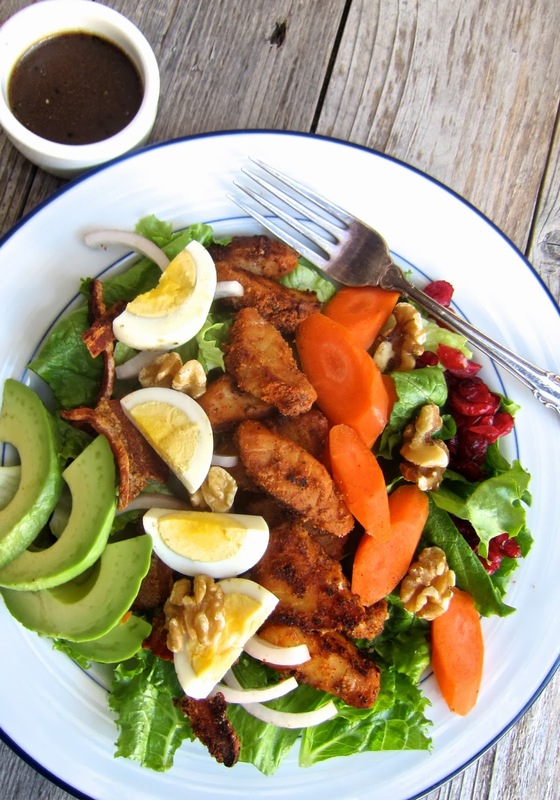 Serve over cobb salad. Add all ingredients in a jar or sealable container. Shake shake shake! 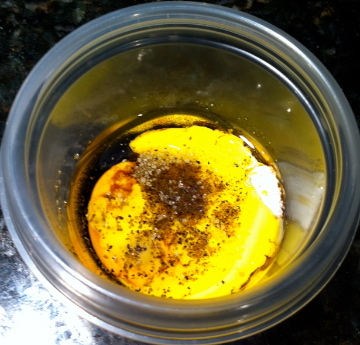 This dressing is almost too easy and you won't believe how delicious it is. Enjoy! The recipe for the spicy halibut follows along with the easiest and most delicious dressing you will ever make. Seriously, it is stupid how good this creamy balsamic is.